When Charlie Fields, noted veg chef (among his many talents!) told me he was thinking about starting a new video series from his San Francisco location, I said to him to just – well, do it! There will never be a “perfect time” for new ventures, and the best thing to do, I said, is just to be sure you have some of the basics in place – and then just get going. I even volunteered to be in one of his first segments. So when I was in San Francisco on extended book tour for The Plant-Based Journey during October, Charlie decided to seize the moment and GO! He also decided to take me up on my offer to be in one of the first projects. Focus of this segment? From junk food to whole food – something that had been on Charlie’s mind. Charlie is calling his new series “SF Veegs”. 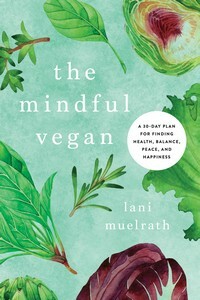 This time on SF Veegs, the fabulous health and nutrition expert Lani Muelrath is dropping serious knowledge about how to “plantify your plate” and become a whole food vegan! 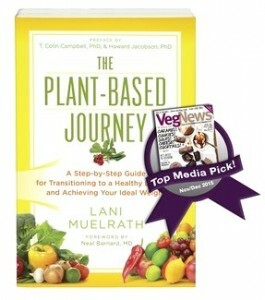 Her hot new book “The Plant-Based Journey” is a masterpiece, and she is sharing many key points from it. I made her recipe for Portobello Pot Roast so let’s see if she likes it! Get the book at http://www.amazon.com/gp/product/1941… I read it and loved it! 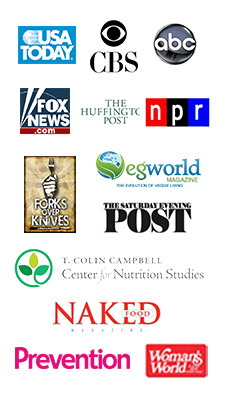 As a reforming junk food vegan, it has been a wonderful guide for me improve my diet. While you’re at it, follow SF Veegs! Thanks Charlie, and all the best on the new venture! Can’t wait to see what you come up with – and to be on your show again!